ebilitating condition that can prevent people from driving a car, walking without assistance, and sometimes even sitting in a chair. I once had a patient with vertigo that prevented her from being able to look me in the eye while speaking because the simple act of looking up would make her feel that the room was moving around. The typical explanation of why someone would suffer from vertigo (more specifically benign paroxysmal positional vertigo) involves the idea that crystals in the inner ear get stuck in a tube called a semicircular canal. The semicircular canals help us determine our positioning in space and when the crystals (called otoliths) get stuck in a canal, the sufferer may feel like the room just will not stop spinning. While this explanation can certainly be the cause, in my experience other areas of the body have been partly to blame. As with the osteopathic approach to all dis-ease, it is important to check for strain in the whole body. More specifically there are several areas that should be addressed if a patient has vertigo, which include: the pelvis, the upper back, ribs, neck, and the bones of the head and face. physical trauma. When they are not in alignment, then you do not have a strong foundation for the spine and head to sit on. Torque in the pelvis can cause one leg to be shorter than the other, which will make the spine curve to compensate for the change in the pelvis. The last compensation that your body makes is to assure that your eyes are level with the horizon. In turn that will force the head into an abnormal alignment to make the eyes level. 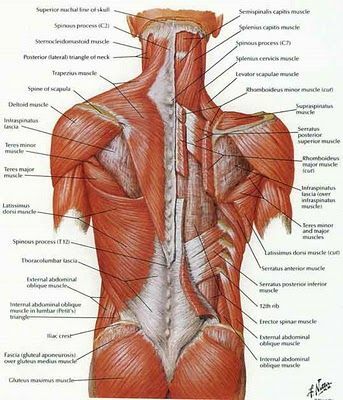 If the rest of the body is not in proper alignment, then you can imagine what kind of stress that puts on the head and neck.